Hope you are having a great Spring! Thanks again for your support and for contacting me regarding any issue you would like to discuss. I hope these newsletters are a good resource for tracking the work of the legislature as it continues during this interim period. Following the completion of the general legislative Session begins the off-season, or "Interim" Session. Once a month we meet in committees comprised of both House and Senate members and begin to craft and discuss proposed legislation for the 2018 general session. This year, our first Interim Session is on May 17. However, since the end of the general Session, things have been busy. 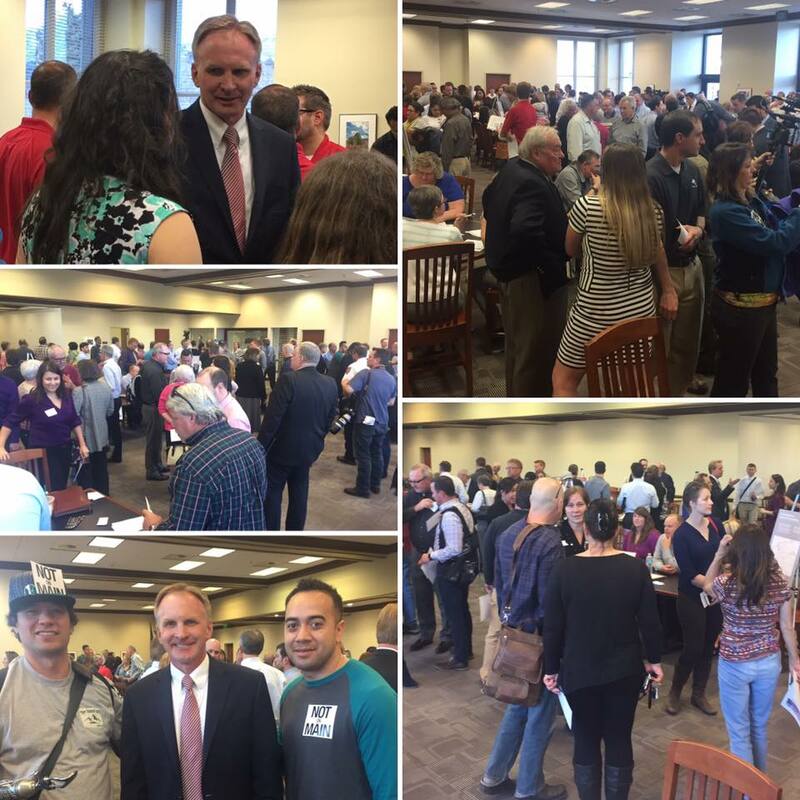 In mid-April, the legislature literally got on a bus in its quest to learn more about rural Utah. We drove approx. 400 miles in two days and visited Millard, Beaver, Iron, Garfield, Piute and Sevier counties. 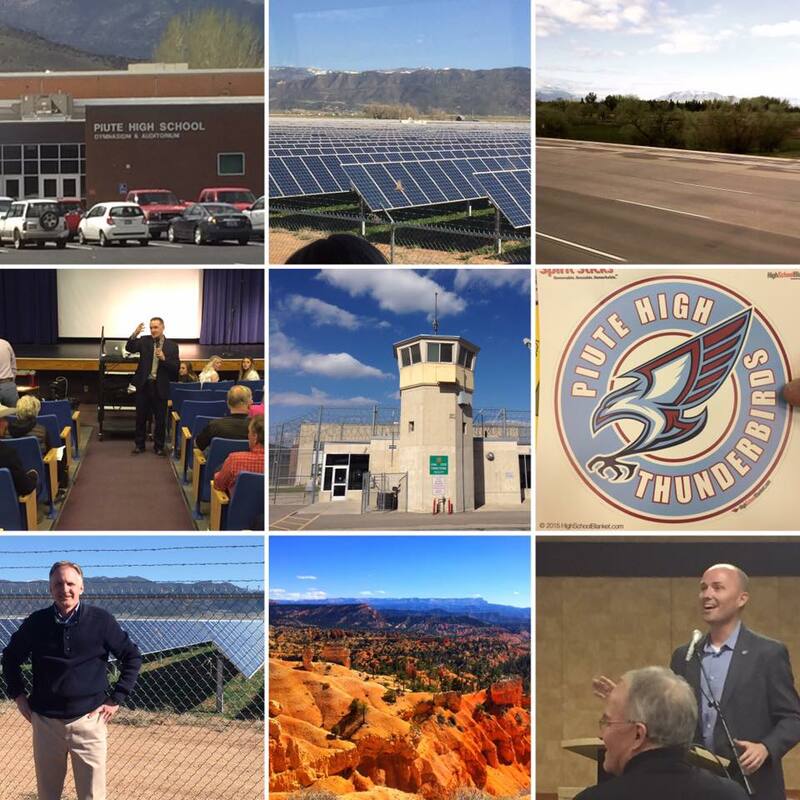 We visited various locations, including a solar farm, a power plant, Southern Utah University, the State Prison in Gunnison, Milford High School, Piute High School, etc. Particularly impactful to me was our stop at Piute High School. This school consists of 148 kids, grades 7-12. It was so enlightening listening to the principal and superintendent about the challenges they have at rural schools. Thanks to all those who hosted us in these different communities. It was great to learn more about different areas of our wonderful State! Utah State University Extension Utah 4-H youth gathered at the Utah State Capitol in April to hold a mock legislature. These future leaders had the opportunity to experience the role of the legislator and learn first-hand about the lawmaking process. 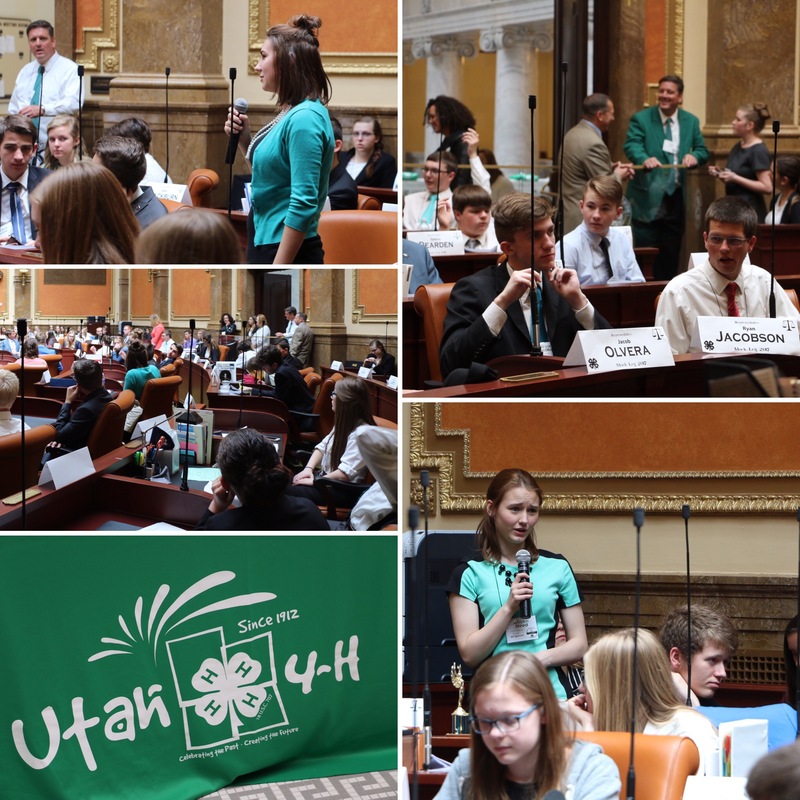 During the mock legislative session, 4-H members presented and debated bills from the 2017 legislative session on the House floor. The students also held committee meetings where they presented their sponsored legislation. On April 6, 2017, a ceremony to commemorate the 100-year anniversary of the U.S. entering World War I took place in the Capitol Rotunda, one of many events held around the country. During the 2017 General Session, H.C.R. 2 Concurrent Resolution Recognizing the United States and Utah's Participation in World War I passed the Utah Legislature. H.C.R. 2 helped establish a Utah World War I Centennial Commission. 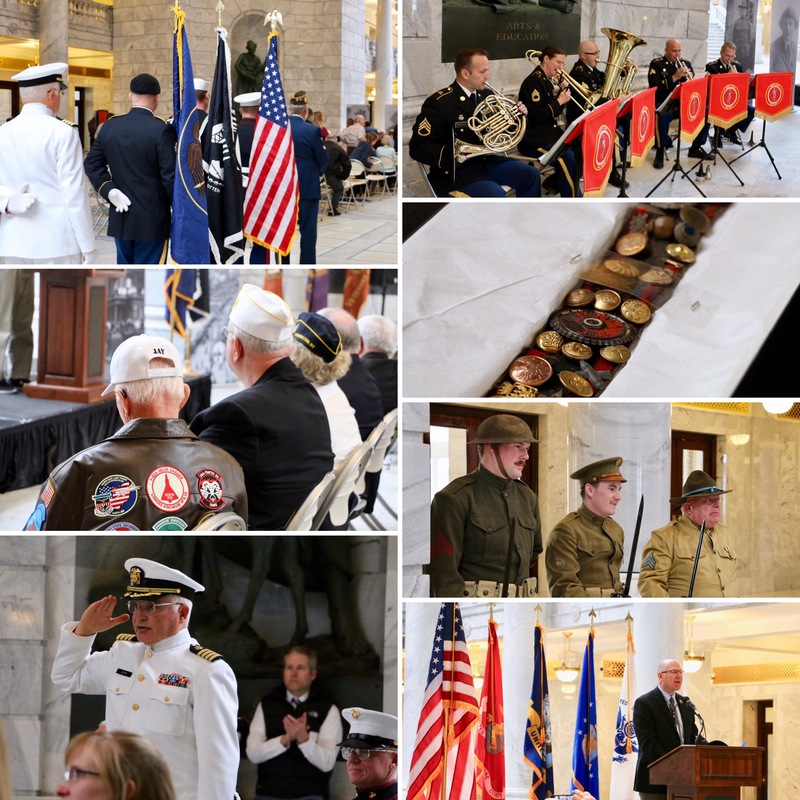 The purpose of the Commission is to develop a statewide awareness campaign to recognize the history of the war, the role the U.S. military played, the impact of the war on America’s and Utah’s society and culture and to remember those who served and those who gave the ultimate sacrifice. According to the Utah departments of Veterans and Military Affairs and Heritage and Arts, over 21,000 Utahns went into the Armed Forces of the United States, 10,000 volunteered to serve and 11,000 were drafted. During WWI, 655 Utahns lost their lives and 864 were wounded. Interim committees study key issues facing the state, hear public comment and recommend legislation for the upcoming session. Unlike during the general session, when the Senate and House each have standing committees comprised of only their own members, interim committees are made up of both senators and representatives. On April 11, the Legislative Management Committee adopted a revised interim committee schedule. Four appropriations meetings are scheduled during the 2017 interim. This will allow additional time for thorough review of the budget. There are six interim committee meetings scheduled for 2017 that will be held May through November. A list of interim committees and study items can be found here. FY2017 - 2018 budget. If you want to know how Utah will be spending its money over the next fiscal year, click here for a fantastic summary.